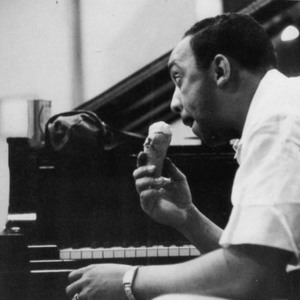 Largely self-taught, Red Garland established a reputation as a solid post-bop mainstream player in the 50s, playing with many of the most famous jazz musicians of the time. He achieved international fame in the late 50s as part of the Miles Davis quintet. He went on to lead his own groups, but then retired in 1968, a victim the declining demand for jazz. He reemerged in 1976 and performed regularly until his death in 1984. Garland was known for his eloquent middle-of-the-road style. A fertile, often moving improvisor, he developed a characteristic block chord sound by combining octaves with a fifth in the middle in the right hand over left-hand comp (accompanying) chords. The style has been much imitated.